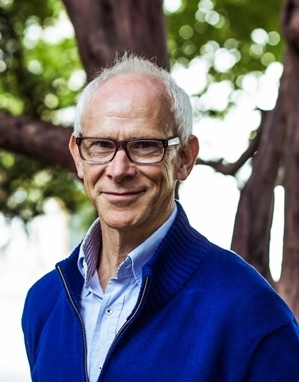 Michael Pinkerton is an internationally recognized educator, stage director, producer, artistic administrator, singer-actor, coach, and audition strategist. Well-known for establishing an innovative Opera Studies Master’s Program at the Music and Arts University of the City of Vienna (formerly Konservatorium Wien), Michael is highly respected for pioneering Musical Theatre and Opera productions and training institutions throughout German-speaking Europe. His stage directing repertoire encompasses over 60 Operas and Musicals from baroque to avant garde. Michael’s productions are noted for their vivid characterizations, energetic stage movement, dynamic lighting, and clear story-telling. He was also a frequent soloist with the Wiener Kammeroper and the Stuttgarter Staatsoper. Highlights of his singing career include the classical character tenor roles, as well as numerous modern compositions. Michael Pinkerton enjoyed a 20 year association with Vereinigte Bühnen Wien beginning in 1989, when he assumed the leadership of the Theater an der Wien – Studio. He went on to become the Director of Artistic Production and later, the Artistic Director of Vereinigte Bühnen Wien - Musical Theater Division. Michael was also the Artistic Director for the German musical theater company Stella Entertainment. In this capacity, he served as the artistic leader of Stella Entertainment’s collaboration with Walt Disney Theatrical Company for the co-production of the world premiere of The Hunchback of Notre Dame in Berlin. Musicals under his supervision in Austria and Germany included Elisabeth, Phantom of the Opera, Miss Saigon, Les Misérables, Cats, Joseph and the Amazing Technicolor Dreamcoat, Starlight Express, Beauty and the Beast, The Producers, Rebecca, Rudolf, Spring Awakening and Roman Polanski’s Dance of the Vampires. Various educational projects have included initiating and directing the Stella Academy in Hamburg, and the “Musical Theater Workshop” for the International Youth Festival in Bayreuth, directing opera performances for the Fairbanks Summer Arts Festival in Alaska, and leading a series of master classes for the FESNOJIV Vocal Academy in Caracas, Venezuela. At August Everding’s request, Michael Pinkerton helped conceive a comprehensive musical theater curriculum that laid the foundation for and the Bayerische Theaterakademie. Michael was a frequent guest faculty artist at Middlebury College for the language school’s German for Singers course. He has also taught for Westminster Choir College’s summer program, Vienna: Language of Lieder, since its inception in 2012. Most recently, Michael was Artist-in-Residence and Visiting Professor at the University of Utah. In this capacity, he led numerous classes, directed a new version of Cats for the Theatre department’s Musical Theatre Program, and directed the School of Music’s production of Die Fledermaus in Salt Lake City’s Kingsbury Hall. Michael Pinkerton lives in Vienna, Austria with his wife, the pianist Carolyn Hague.